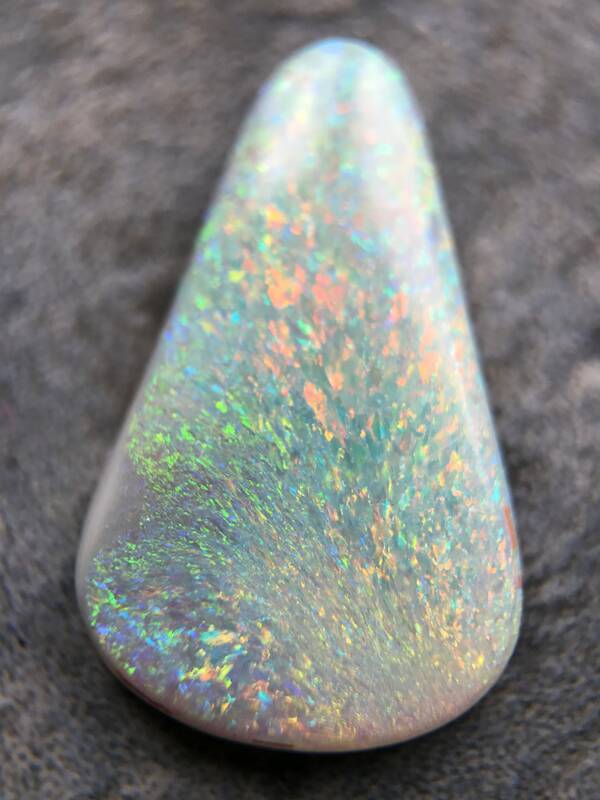 The opal in this listing is a huge 17.5 x 11x 2.5mm. 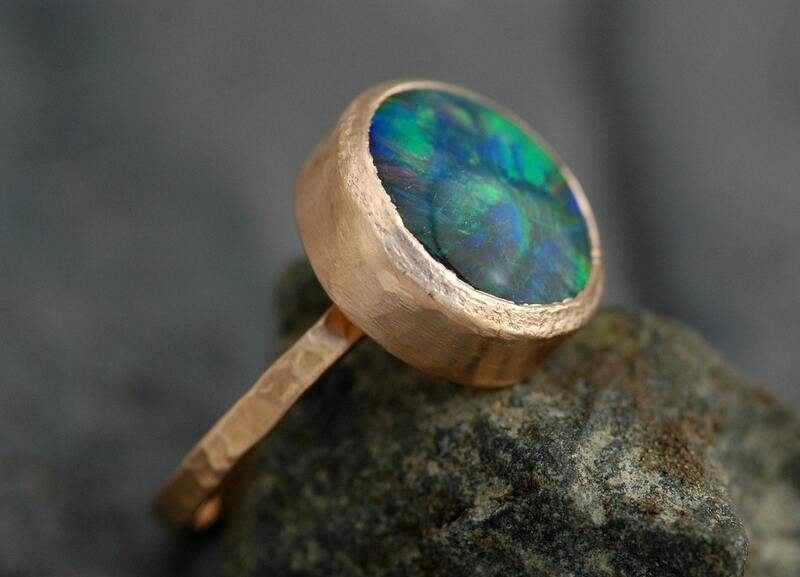 It weighs 2.6 carats. 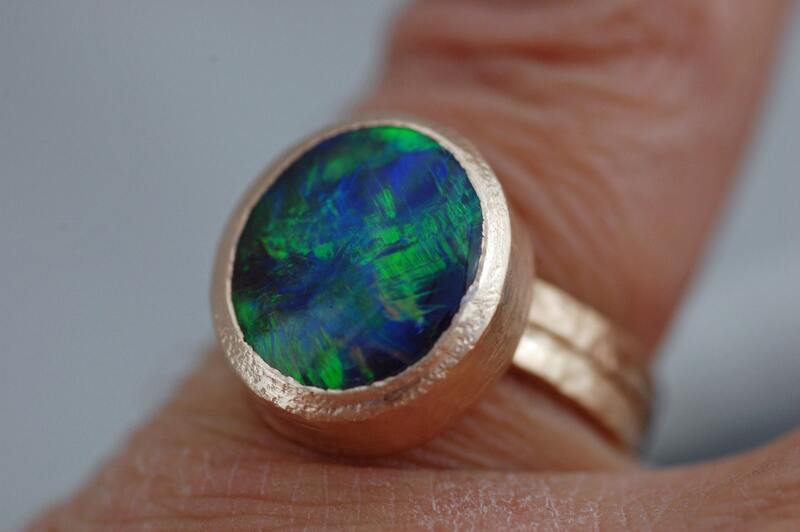 It was mined in Lighting Ridge, Australia- home to the world's more beautiful black and semi-black opals. 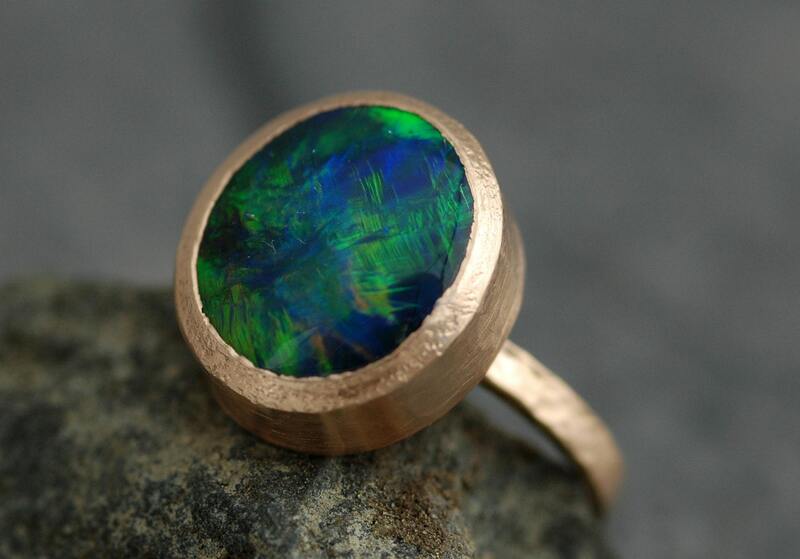 This is a black opal whose pale body colour earns it the classification of 'semi-black' opal. 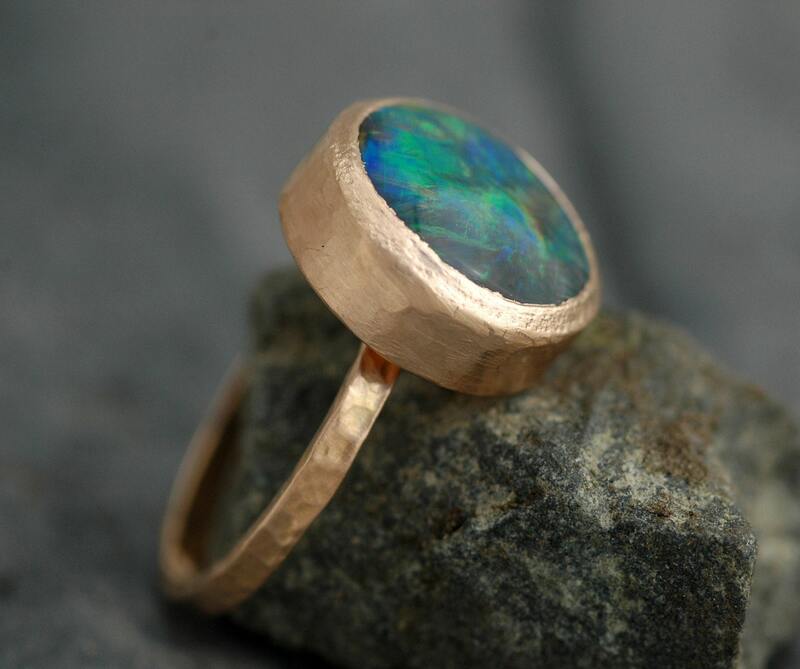 The body is light, at an extremely pale grey colour, and has all the fire that black opals are coveted for. 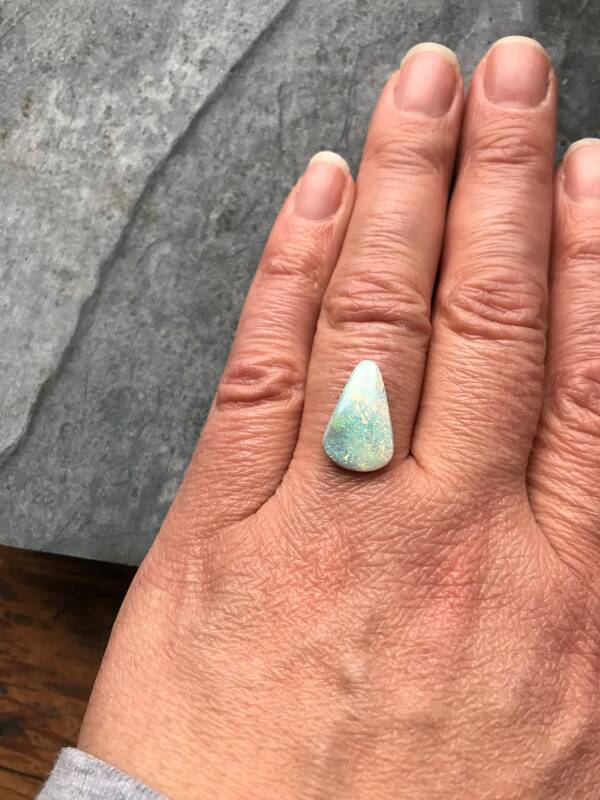 Please note that this opal is not as thick as the opal shown in the ring- this opal will sit closer to the finger. 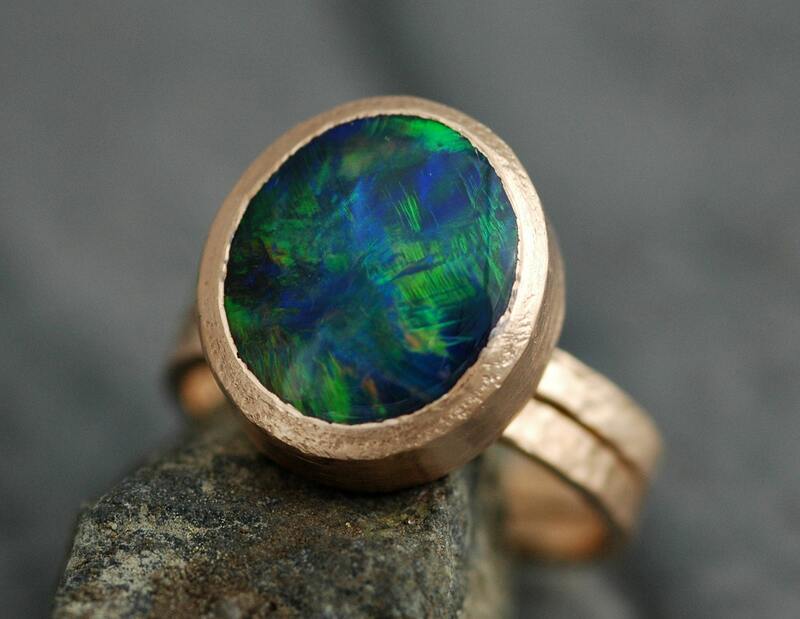 This stone has a flater surface, not as domed as the stone in the ring.